Reclining seats has been a gripe for those travelling in economy since flights took to the air. It’s not uncommon for in-cabin verbal fisty-cuffs to erupt even to the point where planes have had to divert. The sheer frustration of passengers having their space invaded by the seat in front is often palpable. 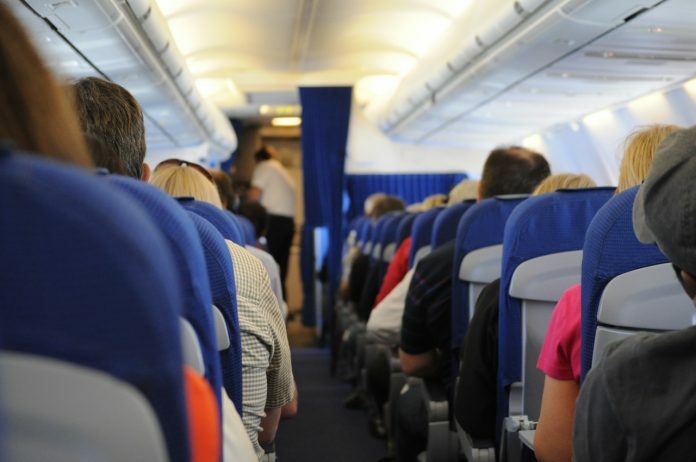 It is so prevalent that 60 per cent of cabin crew from around the world have reported awkward moments of either being involved in, or having witnessed, heated arguments between passengers. The fact is the recline button exists and for many they feel it’s their right to use. They sometimes do it in stealthy steps or just going it without even checking if the person behind has a drink on their tray table. Others say, no don’t recline, at least not without asking first as it is bad manners. There is no middle ground. Or is there? Some budget airlines saw sense years ago and took away the ability to recline seats completely. Last year, British Airways also ditched the recline function on short-haul routes – journeys of up to four hours. Instead they offer seats that are pre-set to a “gentle recline to ensure everyone in the cabin enjoys a comfortable journey.” Sounds like a good comprise and means that those who want the peace to eat or drink without disruption or simply need the extra room because of their body shape will have it guaranteed. Now, Delta Air Lines also hopes to end the reclining seat wars. The airline wants to protect their passengers’ “personal space” by reducing seat recline on its A320 fleet. Huddleston pointed out that the A320 typically operates on short routes with a high proportion of business travelers who invariably work at their seat. The role out of the new seats will start around June 2019.